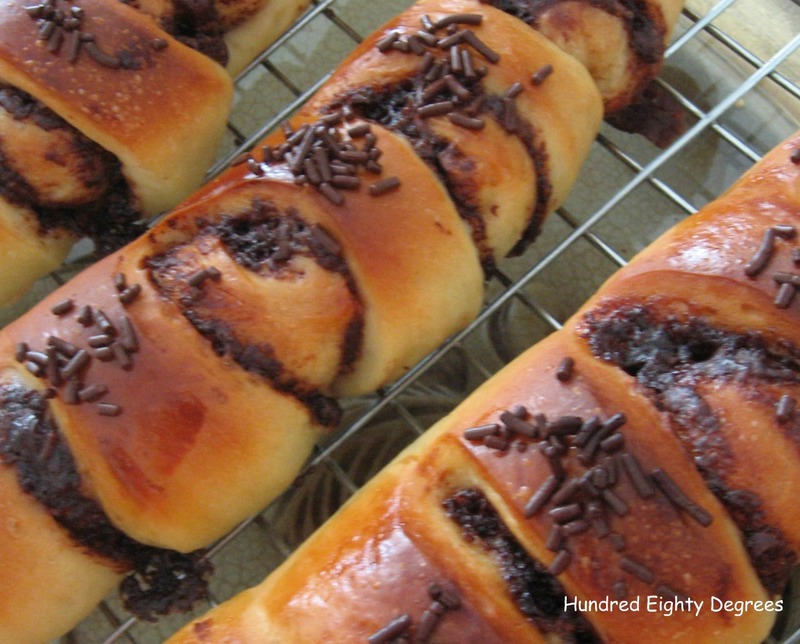 These Little Butter Buns resembled the Roti Paun, a popular bun found in Terengganu. 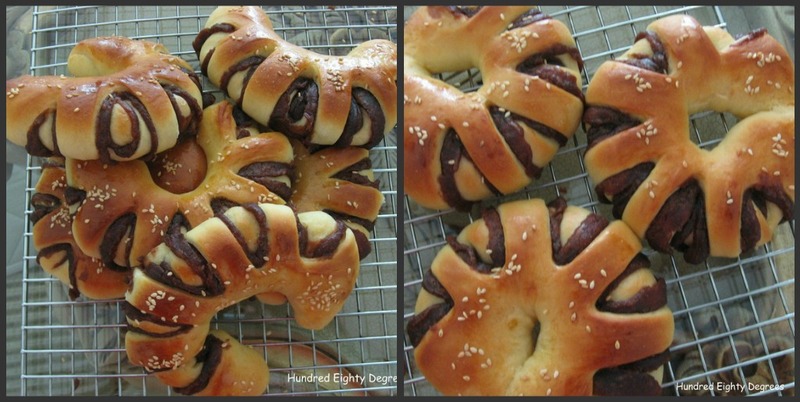 I saw this on Lena’s blog as she’s the host of MFF (Malaysia Food Fest – Terengganu month) and that had reminded me of my once-popular buns I made long ago using the gelatinised dough method here. 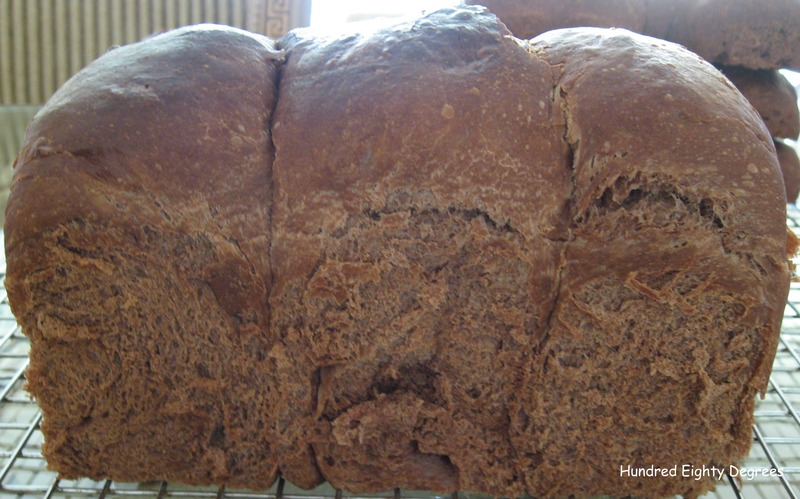 However, this time I used sweet potato in this bread, click here for the recipe. 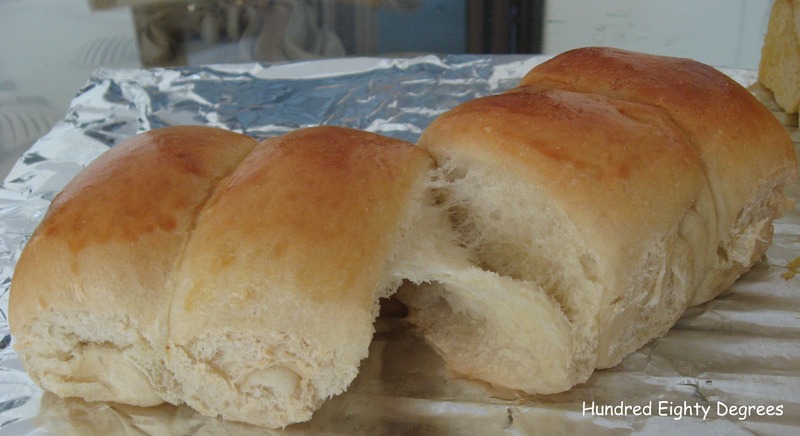 These rolls look unsightly? 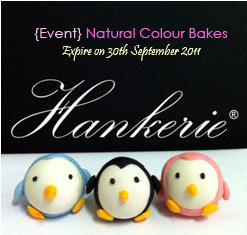 They were coated with oreo biscuit crumbs which were really crispy when they were freshly baked. Sad to say that the crisp did not keep well, it lost its crisp the next day as in my case. 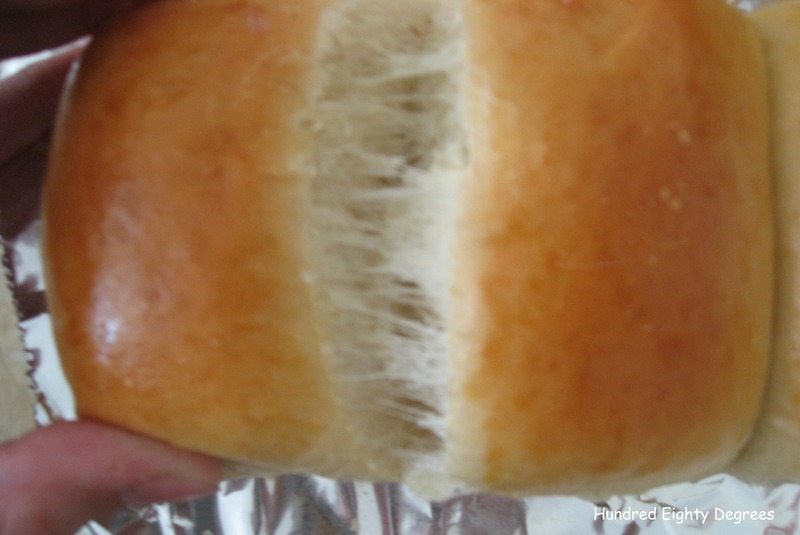 Moreover, these rolls were also not perfectly done, they turned a little hard the next day too. There’s nothing wrong with the recipe as I have been using it. It must be something I have misdone. 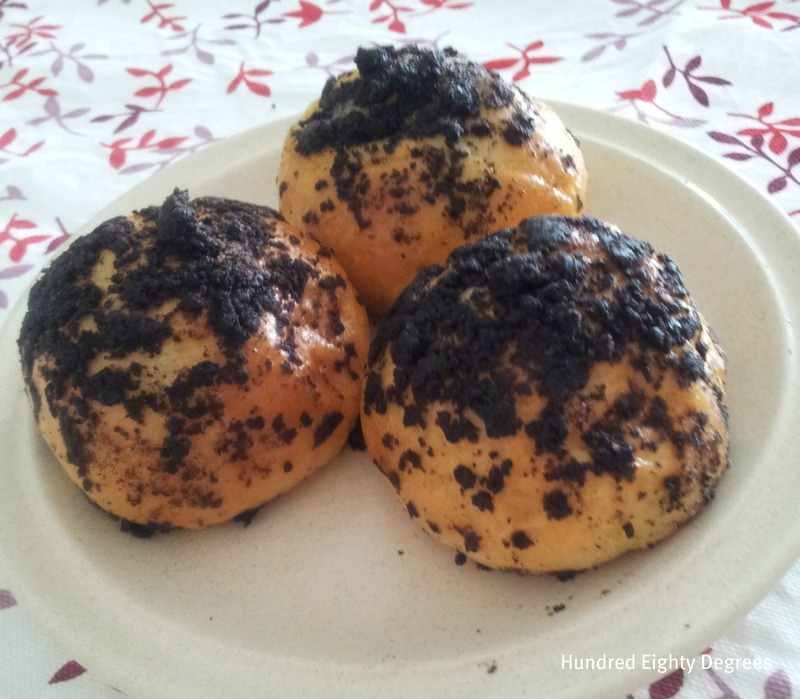 You can use any of your desired sweet dough recipe, just egg wash the dough and sprinkle oreo crumbs on it. 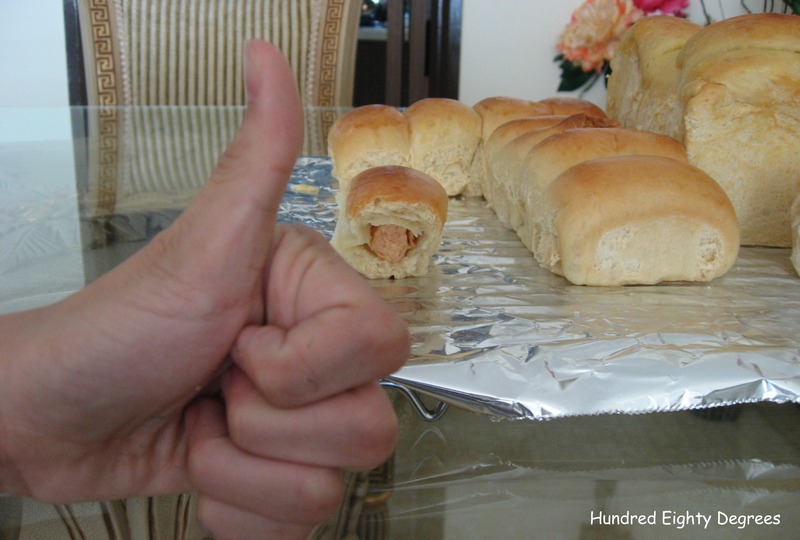 For these rolls I made, the dough was wrapped with butter sugar since this is our house’s favourite. 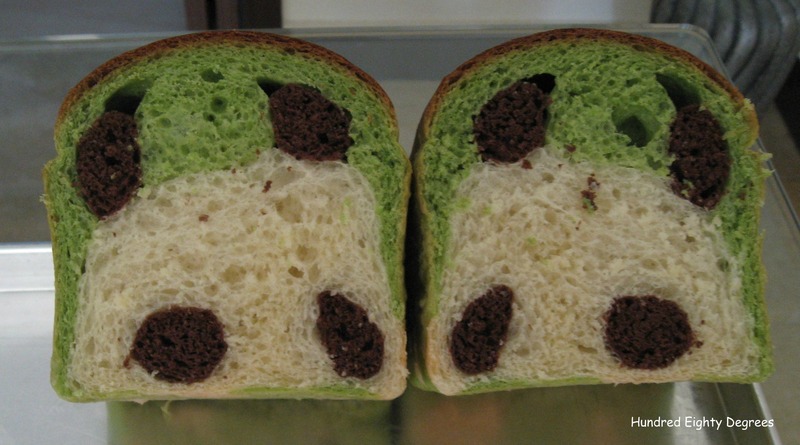 The idea of adding oreo toppings was inspired by Sonia of Nasi Lemak Lover, Oreo Bread. Do hop over to see hers. When Sonia of Nasi Lemak Lover posted this question on her blog ‘are you able to pass window pane test?’ using KA KSM150 mixer. My reply to her then was I’ve never tried using mixer to knead completely before as I am worried that the motor would be overheated. Normally I will let the mixer run for the first 10 minutes until the dough leaves the sides of the bowl, and thereafter I will take over to exercise my arm for 30 minutes to get a paper-thin translucent window pane. This time around, I decided to give it a go, and this (picture below) was achieved about 15 minutes later running on KSM150 mixer with speed #2 for first 8 minutes and alternate between speed 2 and 4 for the next 7 minutes, completely without hand-kneading. So, it went well! I am not sure if the result deviates when other recipes are used, but at least it works for this recipe. 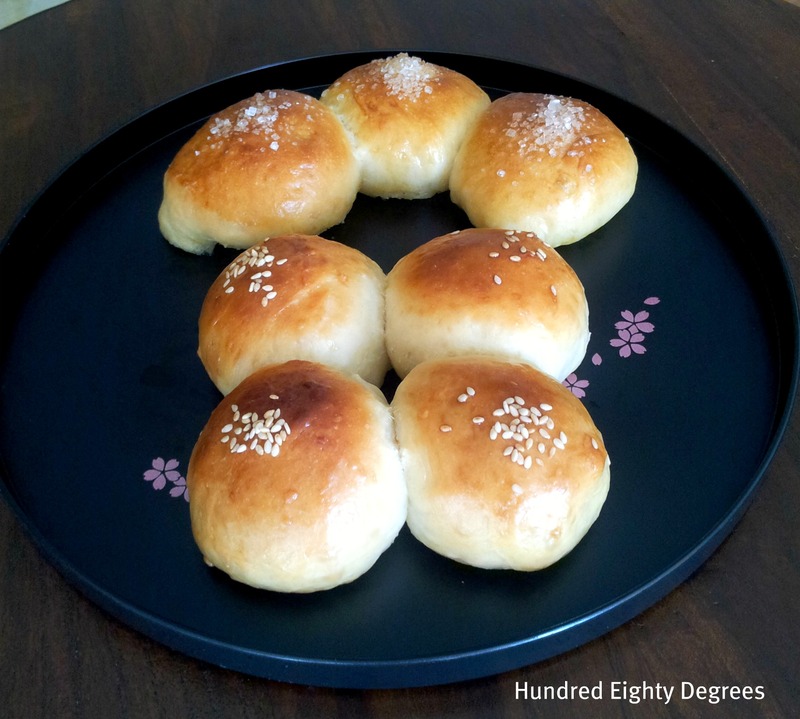 Red Bean & Butter Sugar Mini Buns for our Sunday’s tea-time. 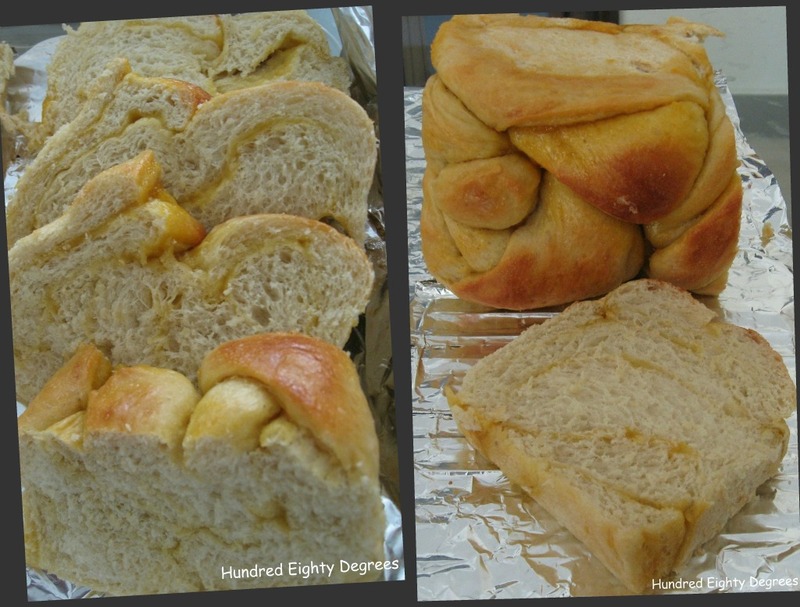 Click here for recipe from Honey Bee Sweets, and click here for conversion of fresh yeast to instant yeast. 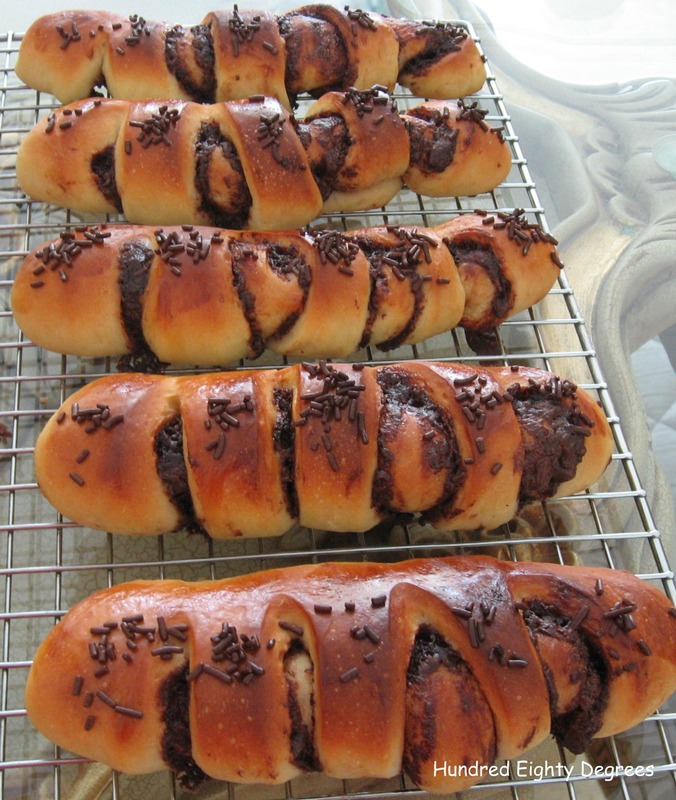 Received positive feedback from colleagues after tasting my butter kaya loaf and sausage cheese bun that I baked last week, I baked again but this time filled with ready-made red bean paste. 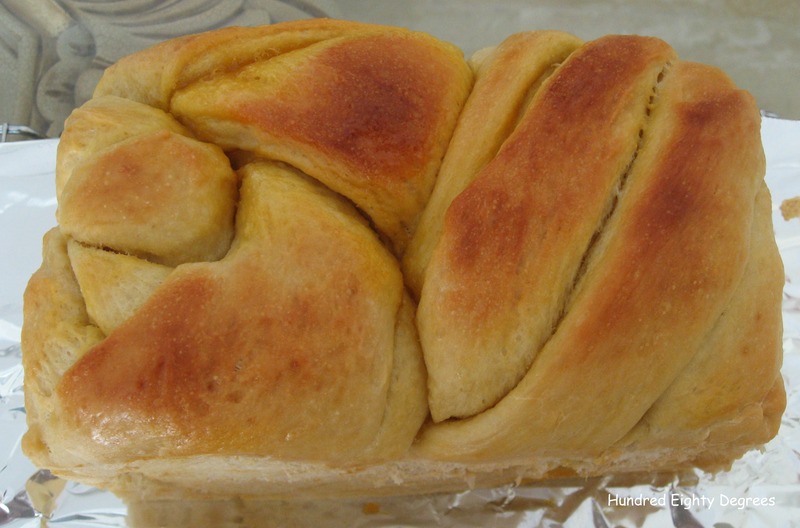 Baking bread can seem like a daunting task, kneading and proofing need time and patience. 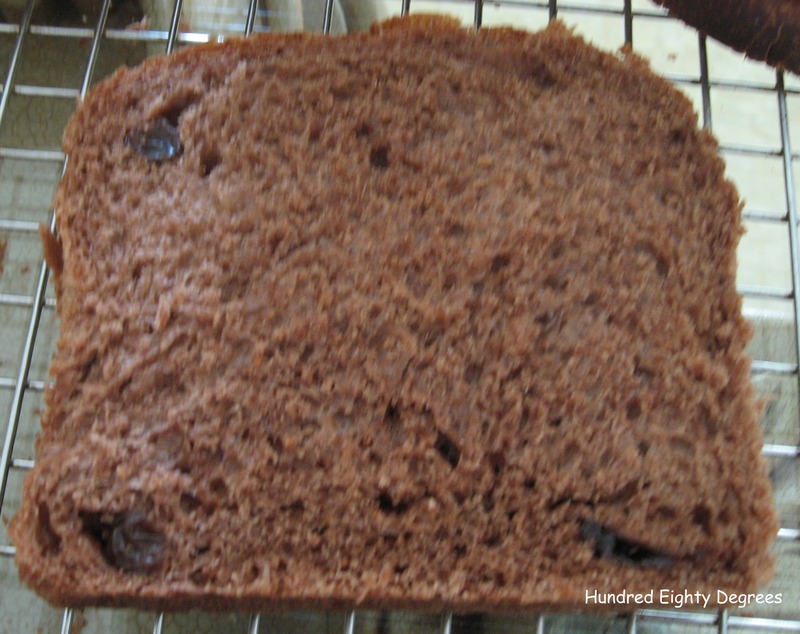 However, using the right ingredients to yield a good bread is definitely rewarding. This is one recipe I would repeat. The bread is soft. I shall leave you to see the pictures to be convinced. This recipe yields about 1.1kg dough. I made one loaf and 16 mini buns. 1. Wash and peel sweet potato skin. 2. Cut cube and boil with water until soft. 3. Keep the sweet potato water aside to cool completely. 4. Mash the sweet potato and leave it to cool completely. 5. Sieve the flour, add milk powder, sugar, yeast, salt and mix well. 6. Add the egg and mashed sweet potato into the mixer. Gradually add in sweet potato water ( keep about 50ml for hand kneading in step 7 ). Mix until the dough comes together and leave the dough hook and sides of the mixing bowl. 7. Remove the dough from mixer and place it on the table. Knead by hand. Add the remaining sweet potato water gradually and continue kneading until the dough is smooth. 8. Add butter into the smooth dough and knead for another 10-15 minutes until the dough is stretchable to a paper-thin translucent window pane. 9. Shape the dough into a ball. Place it in a lightly greased mixing bowl, sprinkle with water, cover with cling wrap and proof for about 1 hour, or until double in size. 10. Remove the dough from the bowl and give a light punch to press out the air. Rest the dough for 5 mins. 11. Divide the dough accordingly and shape to your preference. 12. After shaping, proof for 45 minutes. 13. Brush with egg wash and bake at 180C for 25-30 minutes or until cooked. 14. Remove from tin immediately after baking and cool on wire rack. a. 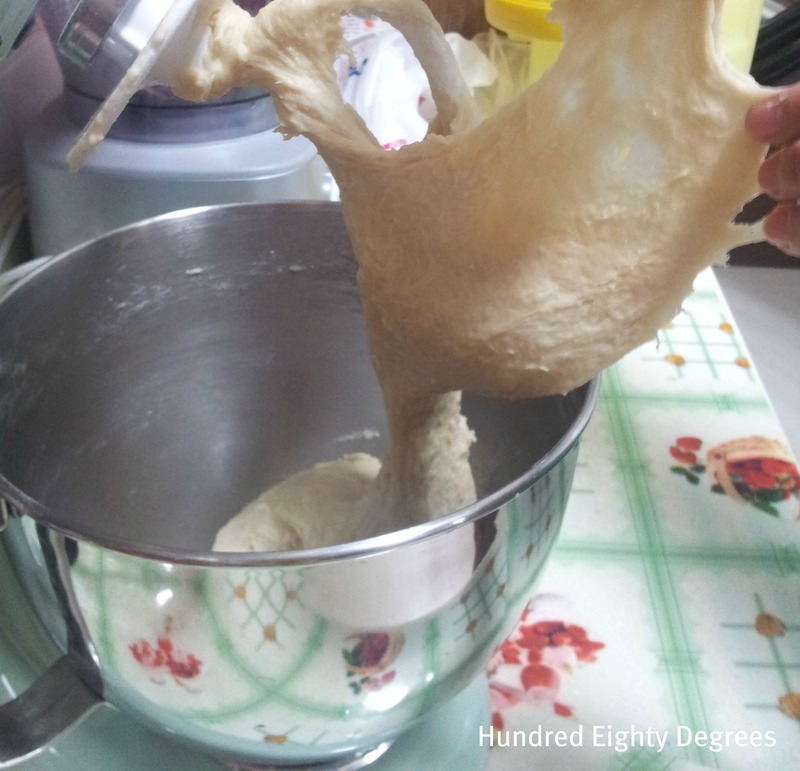 Use about 550g dough : divide the dough into 3 portions, each weighing about 184g. b. Roll out the 3 doughs individually ( the shape of the dough should be just slightly bigger than your tin size ). On 1st layer, spread kaya. On 2nd layer, spread butter and place this buttered surface on the kaya surface of 1st layer, and then spread kaya on top. On the 3rd layer ( this is last layer ), just spread with butter and place this buttered surface on top on the kaya surface of 2nd layer. c. Seal the edges and cut into 3 strips, pleat the 3 strips and seal. a. 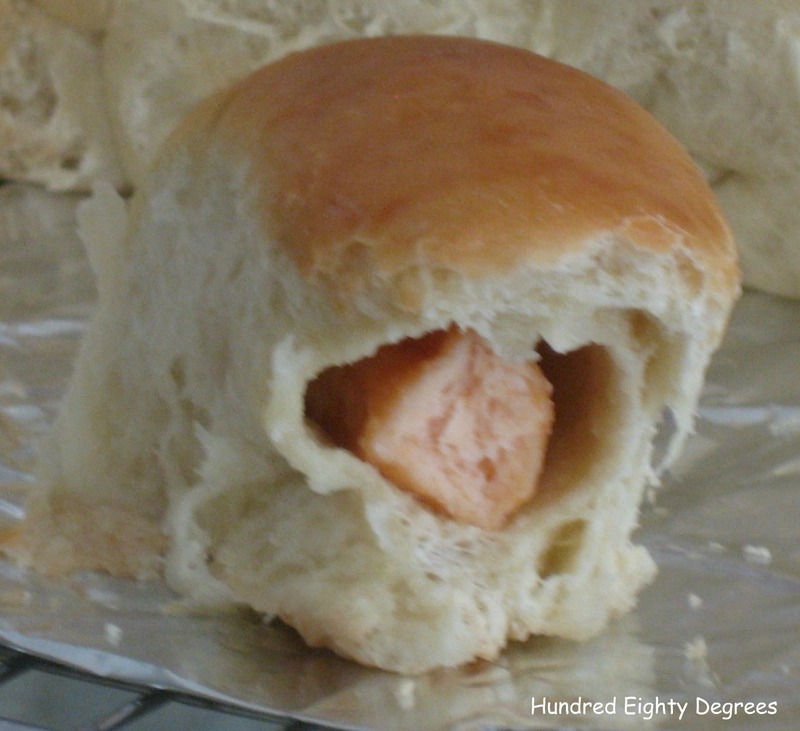 For a mini bun : weigh about 35g dough, roll out rectangular shape. Place cheese and sausage and roll up like a swiss roll. Why not turn sweet bread dough into a loaf of DIY Panda Bread and delight your young ones at home with these adorable panda faces? 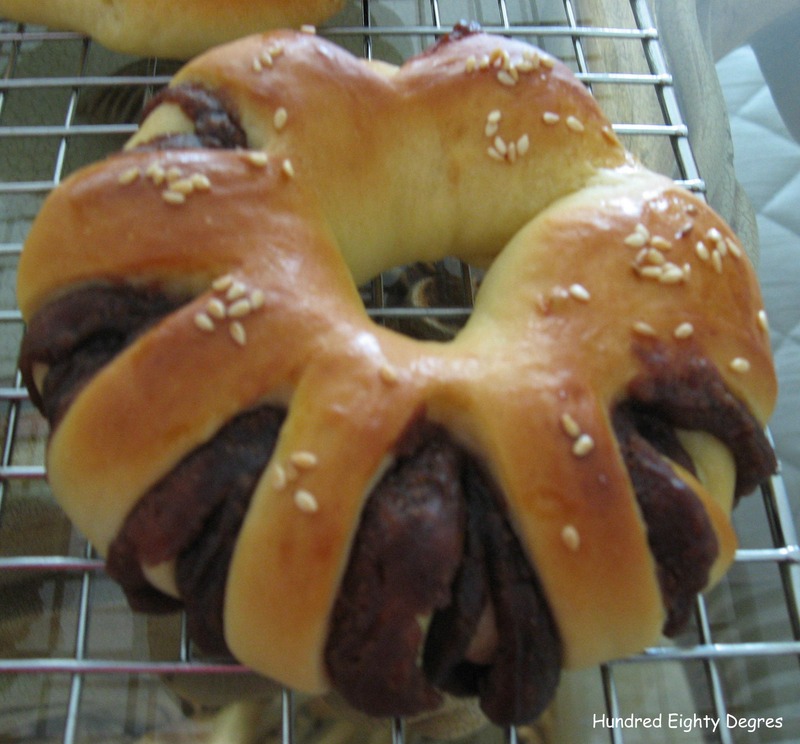 Panda bread was never in my to-bake list due to its complexity and my lack of bread making skills. There was a sudden urge and I went on line to search for youtube video hoping to find step-by-step demonstration. This one I found was presented in cantonese. 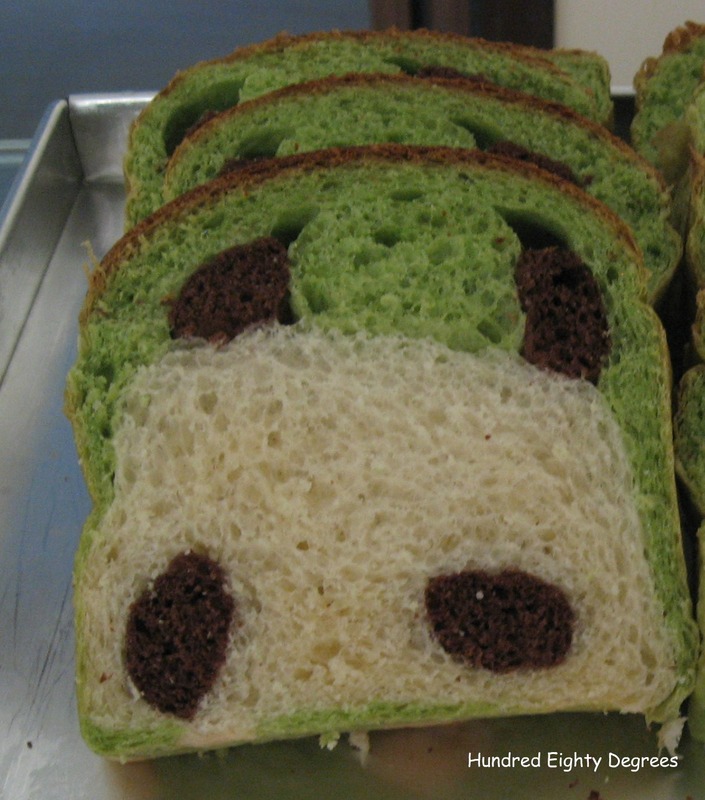 It’s useful and you will find that making this panda bread after all isn’t that difficult. 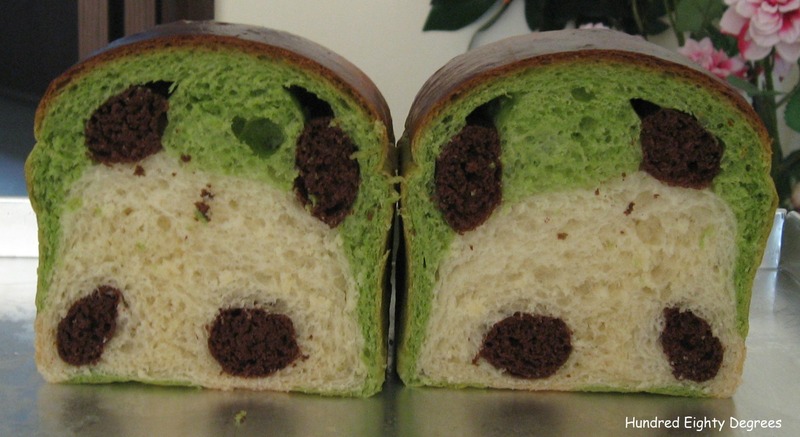 I must say the interesting part of this baking episdoe is that you wouldn’t know how will the panda turn out until you slice open the loaf, peek inside to find this super kawaii panda face. 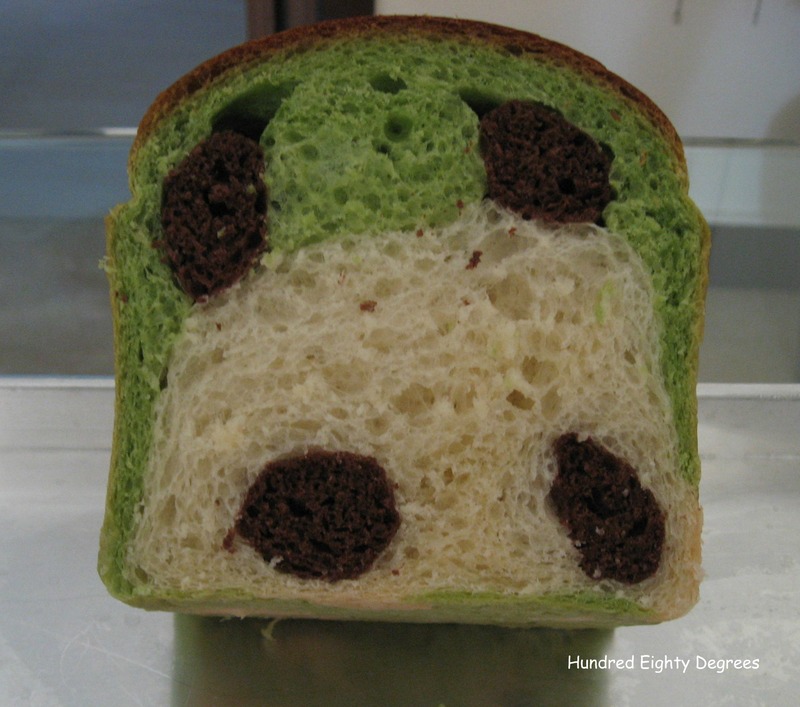 Source : panda bread demonstrations from lingling1029. 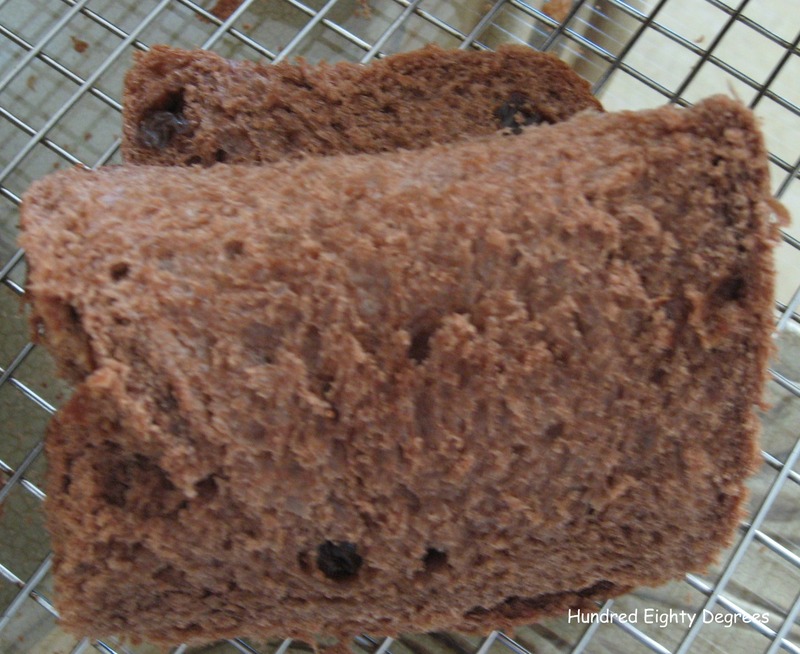 This recipe makes 2 loaves using loaf tin size 19.5cm x 12cm x 11.5cm high. Alternatively, you may weigh 450g dough to make 1 loaf and use the remaining dough to make other buns ( I made butter sticks ). 1. Refer to step 1 to 3 of gelatinised dough here. 1. 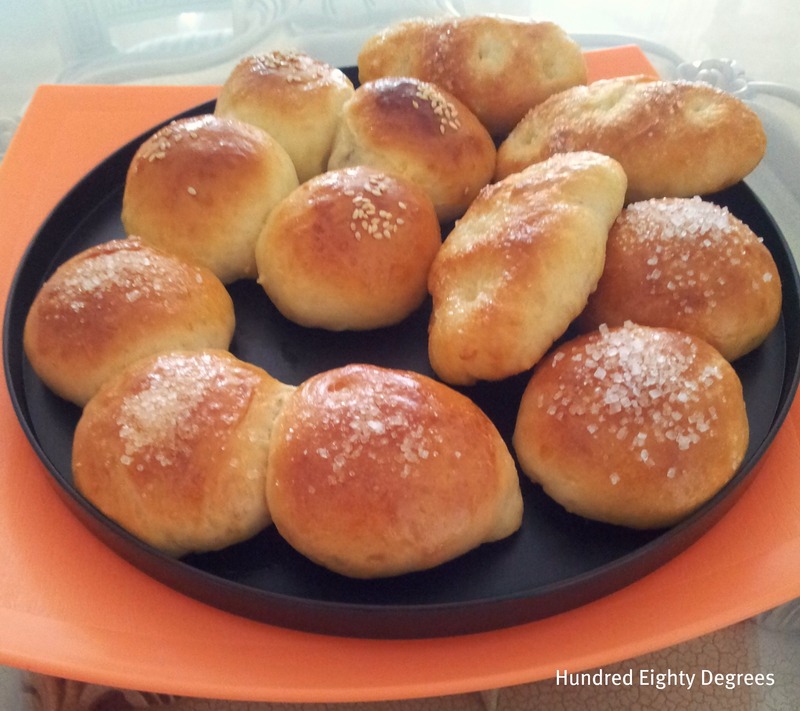 Refer step 1 to 6 of basic sweet bread dough here. 2. 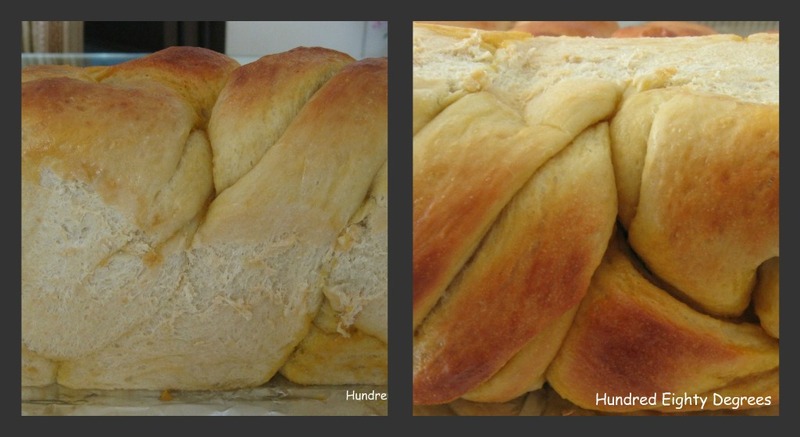 Weigh 450g dough ( for one loaf ) and divide into 3 portions each weighing 68g, 225g and 157g. Mix 68g dough with 1 teaspoon cocoa powder and knead for a few minutes till colour is even. Mix 225g dough with 1 tablespoon green tea powder and knead for a few minutes till colour is even. Leave the 157g dough plain. 3. Shape the doughs into balls. Place doughs seperately in lightly greased mixing bowls. 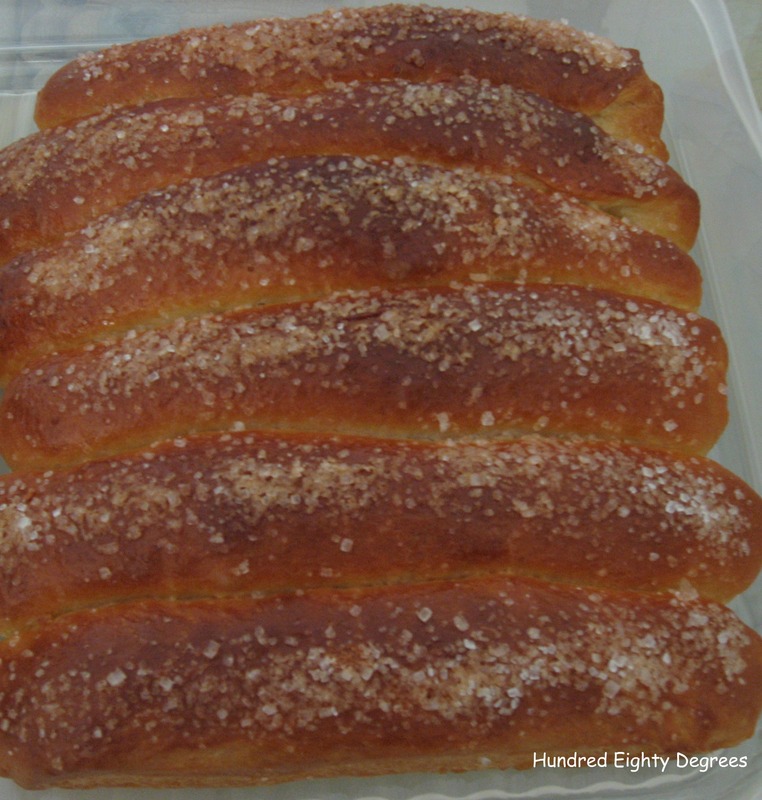 Sprinkle doughs with water. Cover bowls with cling wrap and proof for 40 minutes or until double in size. 4. Punch air out of doughs and rest them seperately for another 10-15 minutes, covered with cling wrap. 5. Divide the 68g cocoa dough into 4 equal portions. 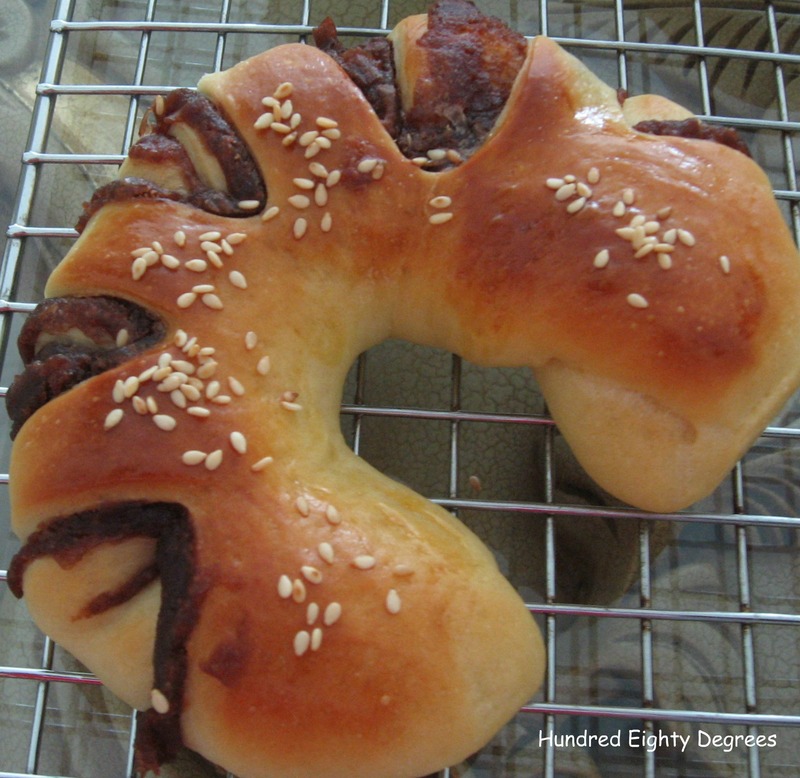 Now, you may follow this link for a youtube video demonstration to assemble dough. 6. Once done, place the patterned dough into a grease loaf pan, sprinkle water on the dough. Cover it with a lid and proof for 40 minutes or until double in size. 7. Brush dough with egg wash and bake in a pre-heated oven at 175C for about 20 – 25 minutes. Remove loaf immediately from the pan and leave to cool for at least 30 minutes before cutting. My kids’ favourite butter sticks.